Rock On slot machine is a place to let all your inhibitions go and start rocking out with the legends. Although graphics and sound are far from reaching their full potential at Rock On slot machine, a creative and interactive story line are sure to keep any serious gambling interested. Get your guitar, your drumsticks and bring the heavy bass to. We are all ready to watch you rock on! At Rival Gaming’s Rock On slot machine the stage is yours with some of rock’s biggest legends like Jimmy Hendrix, Kiss, and the Elvis, the King himself. 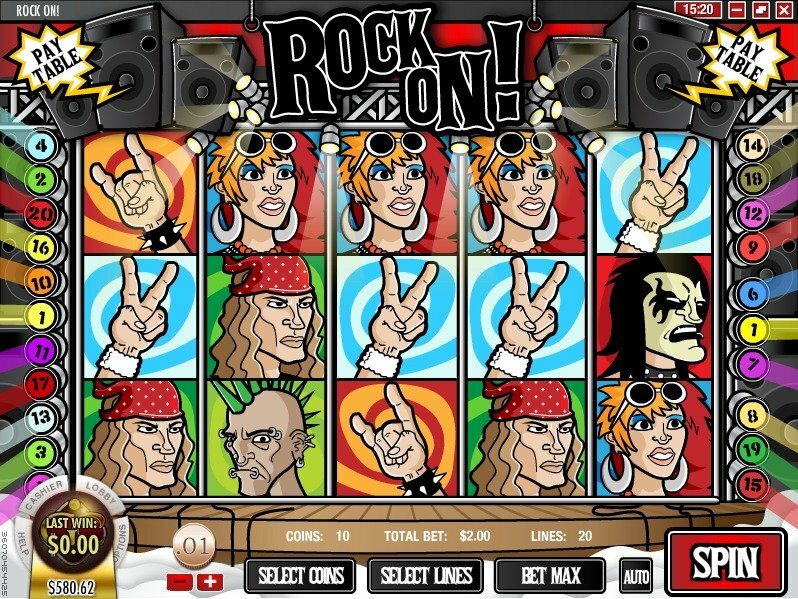 With 20 pay lines and five reels, Rock On slot machine is built and appears just like any other at first glance. But this is one of Rival Gaming’s iconic i-Slots which means many important things for online gamers. One is high quality entertainment. The term i-Slot indicates that the special features of this game will lead on a journey, engaging more than just your wallet. 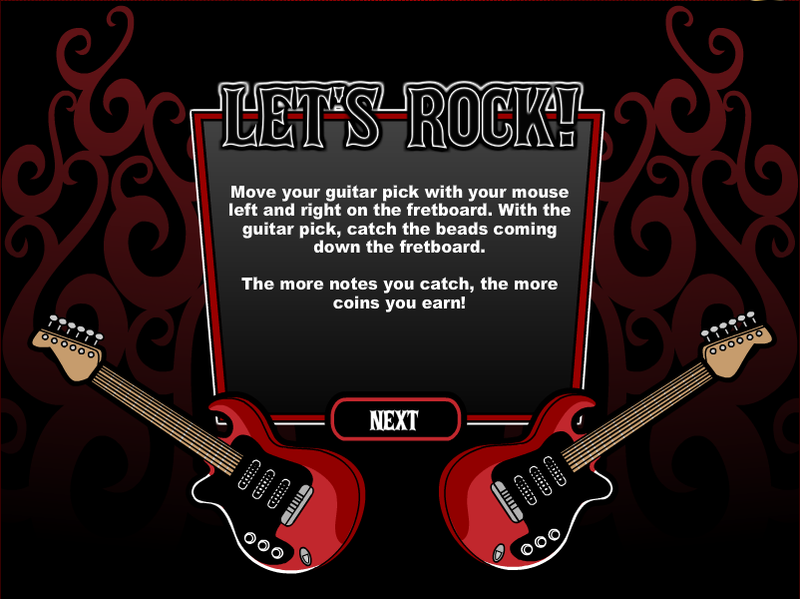 While three drum sets trigger free spins in Rock On slot machine, three Elvis symbols trigger the bonus game built something like guitar hero, only played much slower. Every time you trigger this bonus you move to the next song on your tracklist and only by finished all of them can you complete your Rock On slot machine concert. The term i-Slot indicates that the special features of this game will lead on a journey, engaging more than just your wallet. Coin amounts can be increased to as much as 25 cents and as many as 10 coins can be bet on each line making for a total maximum bet amount of $50 per spin. On the other extreme you can bet as little as 1 cent on every spin by reducing your bet to one line, with one coin worth one penny. Another thing that should be clear from the moment you hear Rival Gaming and i-Slots is mediocre quality in graphics and sound. 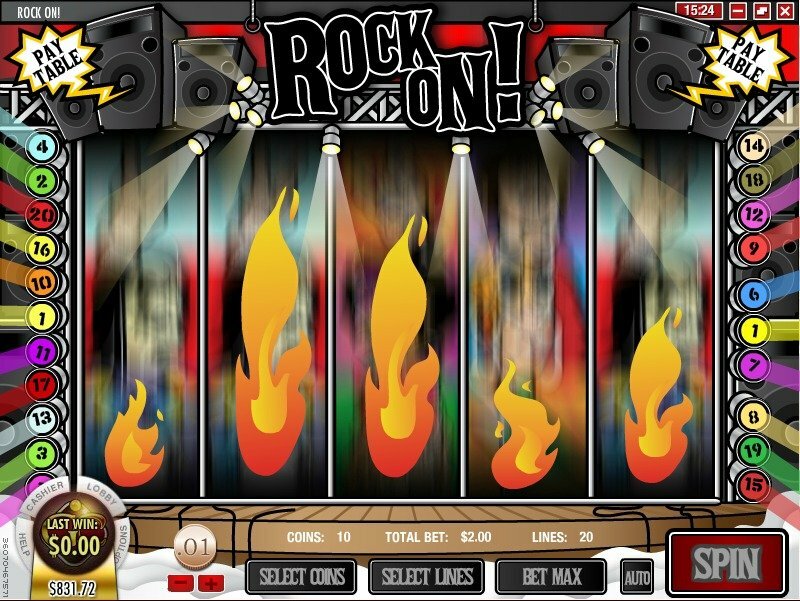 Design in Rock On slot software is lots of fun and appropriate for the theme, but the quality of the graphics themselves are basic and while the colors do their part in keeping your senses involved in the game, the artwork is also basic, a bit like a kid’s cartoon. This is possibly done on purpose however. There are certainly gamblers who look for and enjoy this style. Sound is also of basic quality. Background effects are limited to the crowd continuously cheering you on and the guitar sound effect that rattles with every click of the spin button can only be described as annoying.